2nd Chance Treatment Center (Phoenix) - Book Appointment Online! Everyone deserves a second chance. 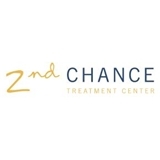 2nd Chance Treatment Center is the first of its kind in Arizona. Our integrated approach of maintenance medication plans, behavioral therapy and patient & family education offers patients the best solution for overcoming substance use disorders. 2nd Chance Philosophy Alcohol and Opioid Use Disorders are medical conditions that need to be treated with a comprehensive and ongoing treatment plan to ensure lifelong recovery. Our Providers Our providers have a strong passion for treating Opioid Use Disorder and Alcohol Use Disorder with the latest evidence-based tools and methods. They have extensive experience using medication-assisted treatment to treat Addictions including a combined 10+ years of experience using buprenorphine/naloxone (Suboxone, etc.) to treat patients with Opioid Use Disorder. By far the best doctor I have seen. Dr. Billing is excellent. Not only does he take time to listen, he goes out of he’s way to find the root of the cause. I highly recommend him. Yes, wait times can get long. Schedule later in the afternoon to avoid the crowd. I was in and out within a little over an hour. This was my initial visit with this Dr. Reddy. I completed all my paperwork online prior to the appointment and arrived 15 minutes early to complete any other documents. After about 20 minutes I was called back so a nurse could take my vital signs. I was sent back to the waiting room where I waited another hour and 45 minutes before I saw the Doctor. Once I saw the doctor, things went very quickly. He's personable and seems very knowledgeable. I just wish the wait wasn't so long.